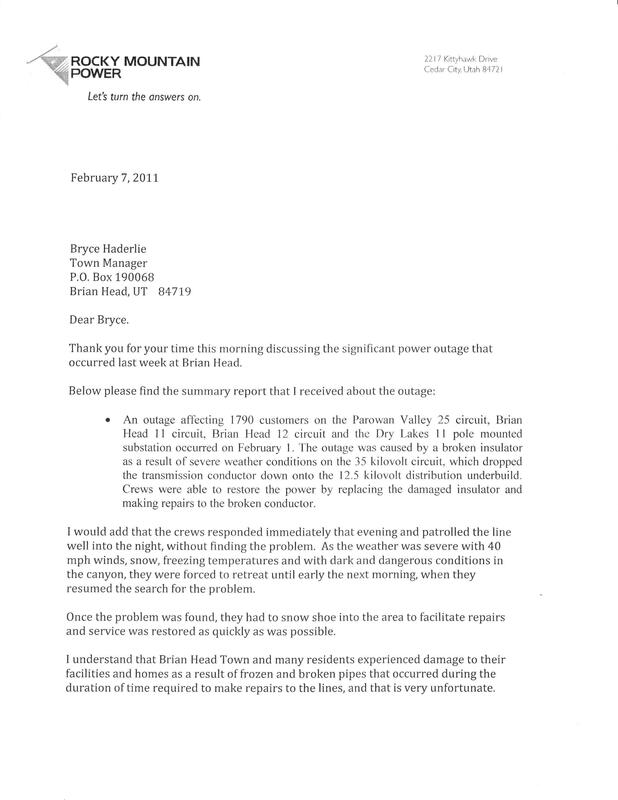 A big thank you to Bryce Haderlie, Brian Head Town Manager, for providing this letter to the station. 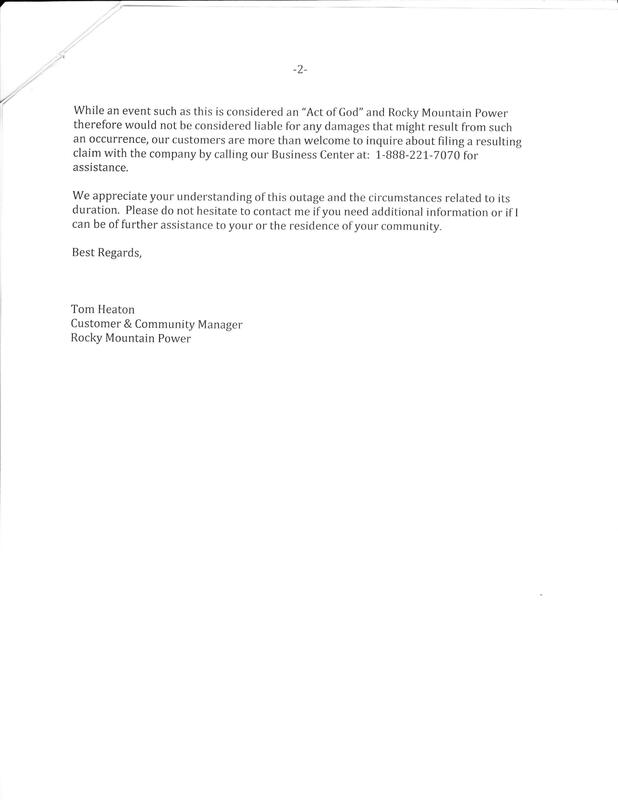 It looks like Rocky Mountain Power is calling the power failure an “Act of God” so homeowners will be picking up the tab for the costliest disaster in the history of Brian Head. Here is the letter. Ask a Local Expert: My toothache is miserable but is sedation dentistry right for me? UTAH CHANNEL 3 is a media consortium that provides programming and content to smaller local stations. Such stations are typically public access community television stations that broadcast on a local cable TV channel in Utah Cities to provide announcements of activities and events. Interviews with community leadership are broadcast on a regular basis In Brian Head.